After Lee Injury, Could Cowboys Reach Out to Brian Urlacher? Around the NFL, teams are getting deeper into their OTA’s this week, and several clubs have already been bitten by the injury bug. The Chicago Bears themselves were hit with an injury when WR Domenik Hixon tore his ACL on Tuesday, knocking him out for the season. The Dallas Cowboys also suffered a potential season-ending injury to their star linebacker Sean Lee, who also tore his ACL when a teammate fell on his leg during on-field workouts. Some teams are also experiencing issues with their players being suspended for the entire season, as the Arizona Cardinals will because linebacker Daryl Washington received a full season ban on Friday after he pleaded guilty to aggravated assault of a female. All of those situations will require their teams to address the shortcomings on their rosters, but for the Cardinals and Cowboys, their dire need for a linebacker could end up being addressed by one retired Bear in particular: Brian Urlacher. Outside options for @dallascowboys include Jonathan Vilma or London Fletcher, and @Gil_Brandt brought Brian Urlacher into mix yesterday. Dallas-area media personalities like Tim Cowlishaw of ESPN have already floated the idea, and while it may seem far-fetched to ask the 36-year old to don shoulder pads once again, especially since he has a cushy job as an NFL analyst for Fox Sports 1, there is reason to think he may consider it. It would only be a one-year situation more than likely, and after a year off to recuperate from an NFL career that saw him rack up tackles and big hits, his body may be able to withstand the rigors of a full season. While there hasn’t been any interest specifically expressed by either team, a team like Dallas would be an ideal fit for Urlacher. 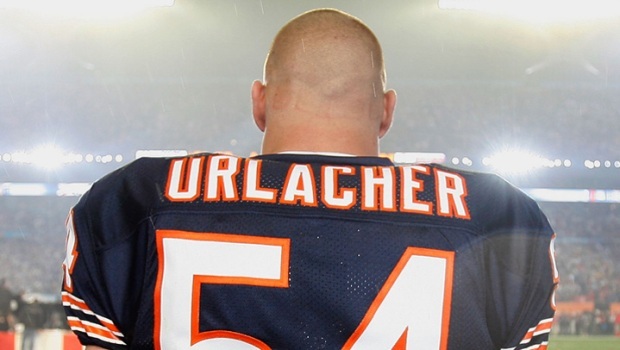 He could be a calming veteran influence on a team that already lost one of its most vocal leaders when Demarcus Ware signed with the Denver Broncos, and with Lee out for the season, Urlacher would be in a position to be the guy for the Cowboys. Of course, there’s just as good a chance that he’ll say “thanks but no thanks” and stay retired, but if the Cowboys were to lure him out of retirement, then Bears fans would get to see him up close and personal, as Dallas is scheduled to visit Soldier Field on Thursday, December 4th for a nationally televised contest.